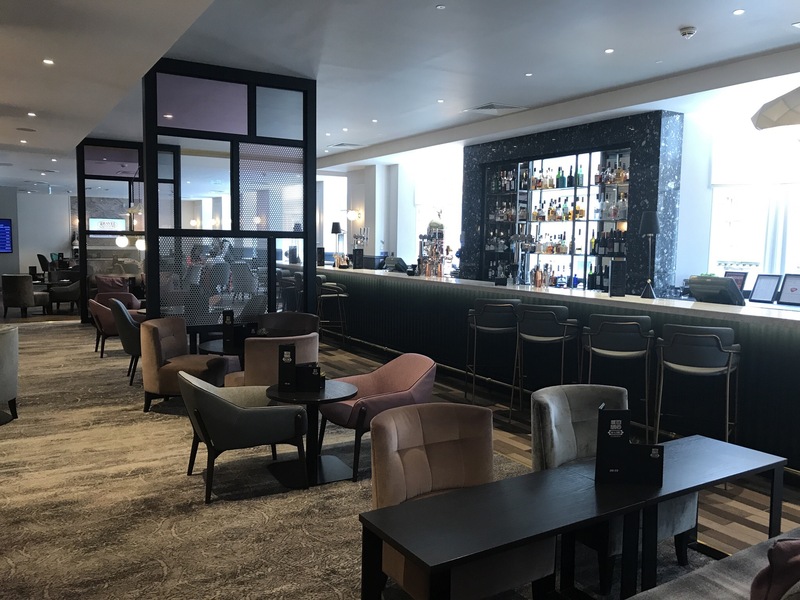 I have stayed at the Hilton Carlton in Edinburgh a couple of times when visiting my son at University, and here is my brief review of the hotel. The hotel has recently undergone refurbishment in 2016 so the hotel is of a very high standard. 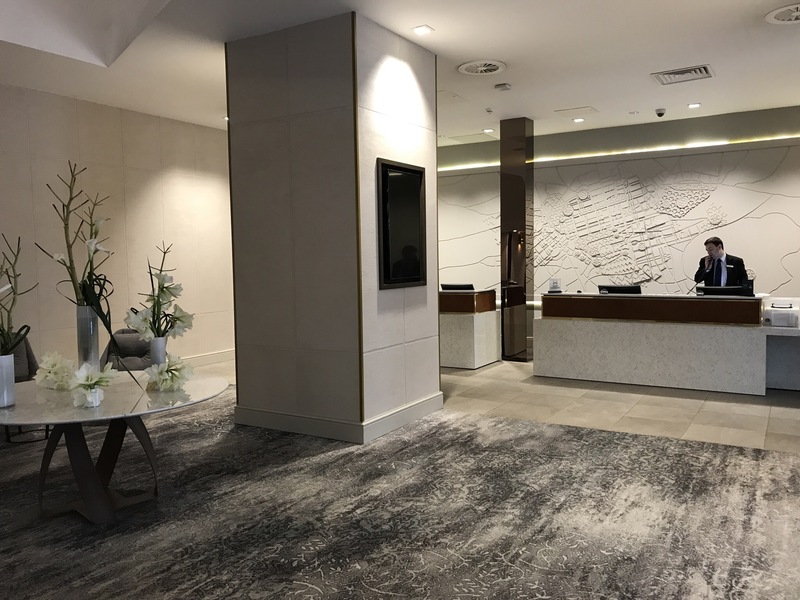 It’s a modern, clean hotel as you will see from the photos. 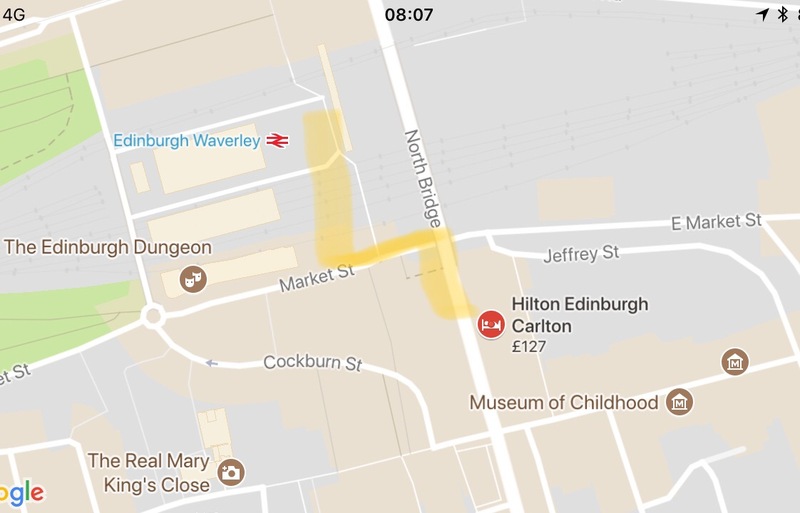 Located on North Bridge it’s very close to Edinburgh Waverley station. Just come out of the entrance on Market Street, cross over the zebra crossing and turn left. About 20m on the right is the Scotsman’s Steps, take these and the will bring you out on North Bridge, opposite the hotel. The reception area is large, bright and spacious. It’s very easy to leave your luggage here if you need to, and the team are very welcoming. 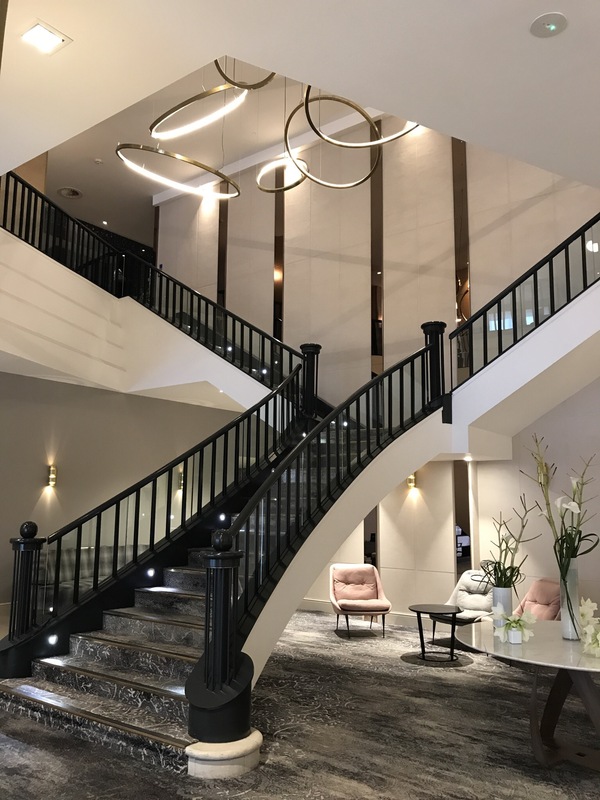 A wonderful double stair case leads from the reception to the first floor.On the first floor where you will find the bar area, restaurant and the Hilton Honors lounge. The bar area is very spacious and there are plenty of staff to serve. The Hilton Honors Lounge is located just oppposite the bar and is a nice place to visit if you are a gold or platinum member. It has free drinks and snacks at certain times and although not a large room had a nice feel. Breakfast is a buffet style with a large amount of choice. A great Scottish breakfast that keeps you going for the day. The rooms are very clean. All white Egyptian cotton bedding. Our room this time had two double beds and would easily have accommodated a family of four. Good shower and amenities as you would expect at Hilton. Why not follow me.. click the link below that’s all.